Orchids are one of the largest families of flowering plants. In fact, there are so many types of orchids they're in the running as the largest family of flowering plants. These beautiful blooms, as of writing, have about 28,000 catalogued species with 763 genera. New species of wild orchids are still being discovered and horticulturists so far have created more than 100,000 hybrids and cultivars. If you're looking for a particular orchid you fancied in a Walmart or a friend's garden, it might be bewildering to try and identify what species it is. Or, it may be that you just want to look around and see the amazing array of orchids that are available. Check out our comprehensive list below. We've covered the most common types of orchids including a few that are not as common, but are well-known to orchid enthusiasts. The Anguloa orchid's common name is the Tulip Orchid, and it gets this from its large, tulip-shaped flowers. This pretty orchid species comes in shades of green, red, yellow, and white. It thrives in a lot of humidity, cool-to-intermediate temperatures, and bright light. Since the Anguloa likes humidity, it hates to dry out during its growing season, but it may need a dry rest after it flowers. You may know Arundina graminifolia as the Bamboo Orchid, and you can typically find it growing alongside roads in Southeast Asia. This orchid has blush pink and white showy petals with a deep pink center that sits on top of a large, cane-like stalk. It likes very hot and humid weather. 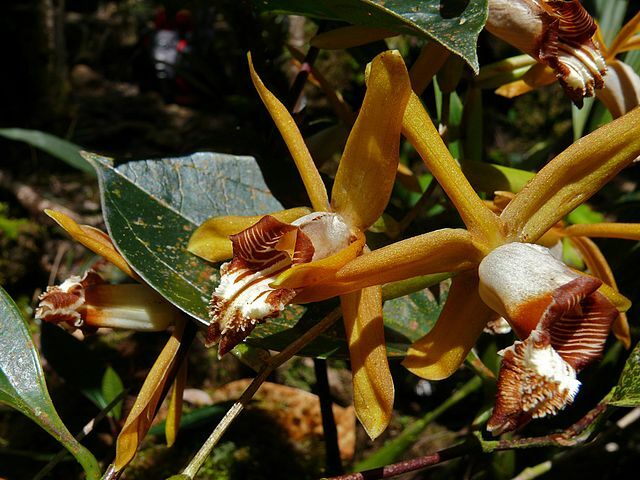 This species is close to extinction with only 200 wide-growing Bamboo Orchids recorded. The Ascocentrum orchid is the beautiful relative of the Vanda species with small, tight clusters of bright flowers in shades of purple, scarlet, red, or deep orange. It's often referred to as a miniature orchid because of its compact size. It thrives in bright, strong light with temperatures above 65 degrees. The Barkeria is native to Mexico, and it features bright flowers in rich shades of purple. It does very well in hot, dry environments, and it should be mounted to grow properly. It's also difficult to grow in pots. During a dry spell, Barkeria strongly resembles dry, dead twigs because it's a leafless orchid species. Commonly known as the Chinese Ground Orchid or the Urn Orchid, Bletilla is a very hardy orchid species that does well in cooler environments. It's known for its attractive foliage and its white, pink, and purple flowers. It has the distinction of being one of the first orchids that England cultivated back in 1794, and it's one of the easiest orchid species to grow. 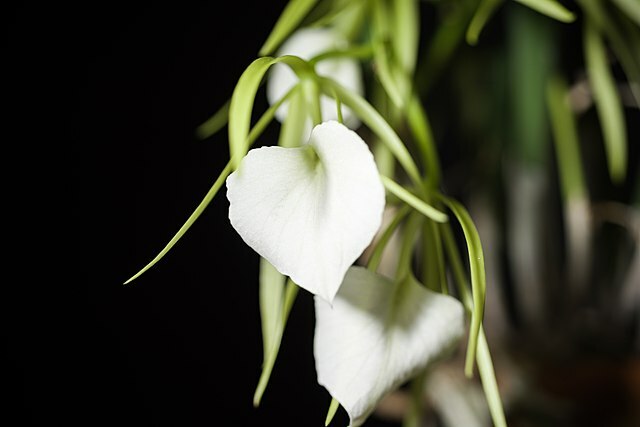 The Brassavola Orchid is highly-fragrant, andt has large, white, showy flowers that are offset by its thin, tubular leaves. You'll smell it the most during the evening hours. It is known for being a pretty forgiving species when it comes to its care and maintenance. 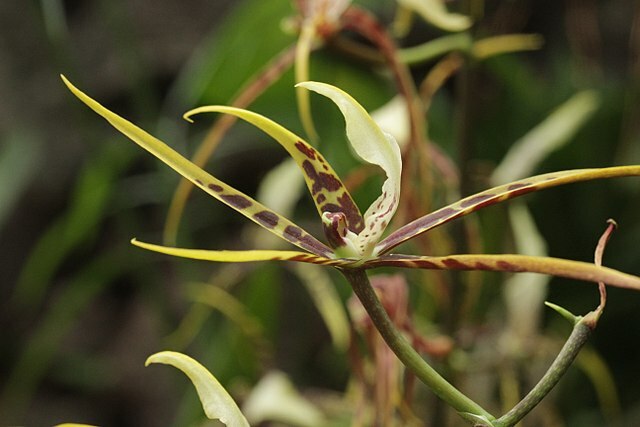 Brassia is more commonly known as the Spider Orchid, and once you see it, you'll understand why. This orchid has very dramatic sprays of flowers that point everywhere which it uses to attract spider-hunting wasps. The flowers are traditionally white with long, trailing tepals that change to green, yellow, and light brown. 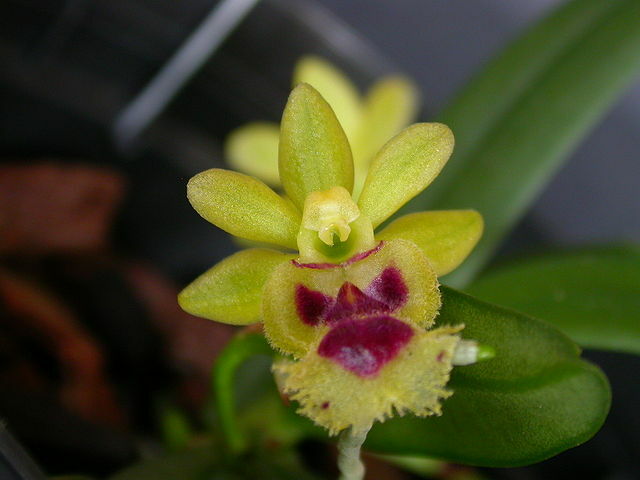 People commonly hybridize these orchids with Oncidiums. The Bulbophyllum genus contains over 1,800 species, and this makes it the third-largest genus in the world. They come in a variety of colors, but all share a single leaf that grows from the top of the plant and a hinged lip to attract bugs. They tend to wander if left unattended, and they're generally easy to grow into an impressive plant. This orchid has a gorgeous, large foliage that turns yellow and drops off when it goes dormant in the winter months. 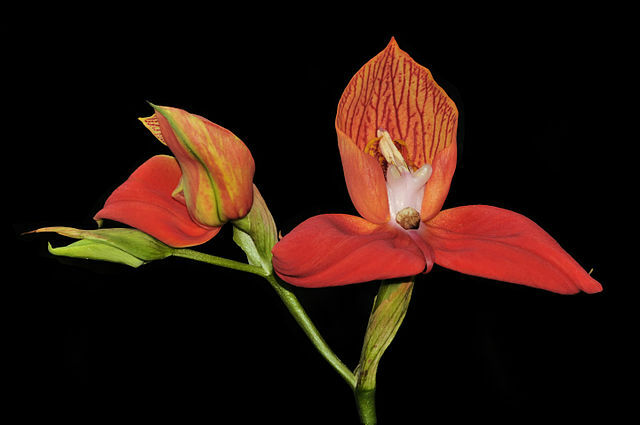 Catasetum has showy unisexual flowers, and the male flower has a trigger that shoots pollen onto any visiting bees. The lighting determines whether male or female flowers appear, and it needs a dry period after it flowers. The Cattleya Orchid was discovered in 1824 when William Cattley received a sick plant that was used as packing material for an orchid shipment. Today, this is one of the most popular orchids, and you can find it with streaks, freckles, and with a wide variety of bicolored flowers. It's also quite fragrant, and this increases its popularity. 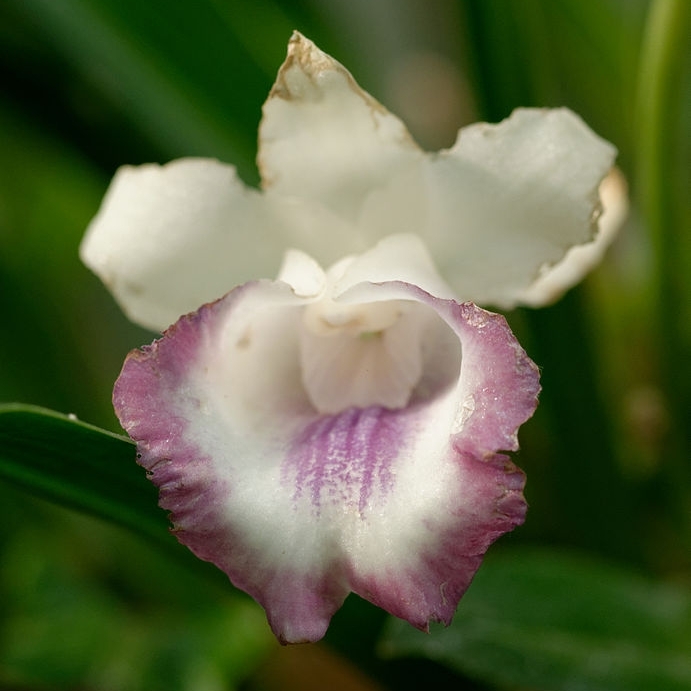 The Cochleanthes Orchid comes from Mexico, South America, and the West Indies. 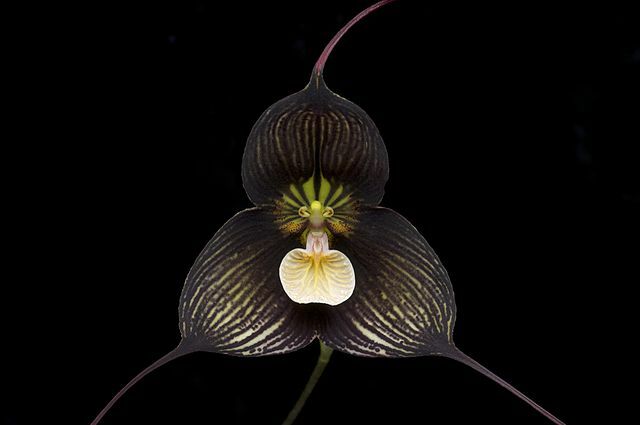 The name is Greek, and it means 'shell' in reference to the orchid's shape. The most common color is white, and the flowers are large with slender, erect leaves. It does better in high humidity, and it needs constant moisture. The Coelogyne Orchid hails from the foothills of the Himalayas, and it does very well with cooler temperatures and less water. It has massive, fragrant blooms in peach, red, and white. It's also drought-resistant, and it can tolerate a fair amount of neglect. This makes it a good choice for beginner growers and people who live in cooler climates. More commonly known as the Bucket Orchid, the Coryanthes has a flower lip that forms a fluid-filled bucket. The bee falls into the bucket and can't get back out until the flower releases its pollen. You have to grow this orchid in a basket because the stem forms on the bottom of the bucket. It comes in reds, peaches, yellow, tan, and green. The Cycnoches Orchid has separate male and female flowers, and it's commonly known as the Swan Orchid due to the male's elegant inflorescence. As many as 30 flowers may bloom on a single stem, and it has a spicy scent. It has bright, bold flowers and it does very well in bright, direct light and high humidity. Cymbidium Orchids are some of the showiest orchids you can get. Although this orchid has small flowers, a single plant usually has several sprays, so it looks very full. It's been popular for centuries, and it comes with yellow, lime green, and bright pink flowers. It thrives in cool temperatures, and it usually blooms in the winter. The Dendrobium genus has over 1,200 species, and they have very top-heavy blooms. These are a very popular type of orchid, but every species has slightly different care instructions. Many require bright light, and their flowers traditionally come in rich purples, white, or bright yellow. 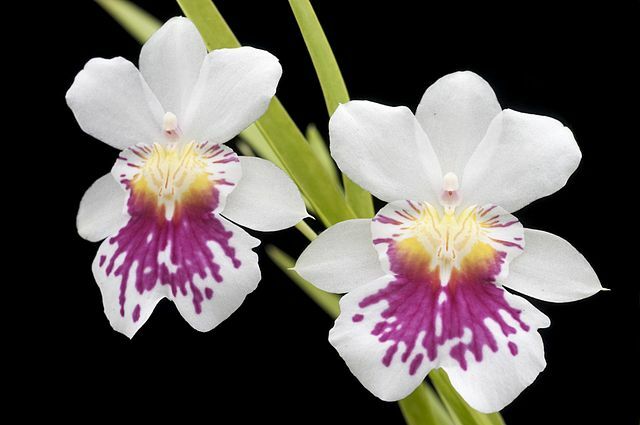 Dendeophylax lindenii is a notoriously difficult orchid to cultivate, but it has gorgeous blooms. The bright white flower is very large and has long trailing tendrils. It is very fragrant, and it has an apple-like scent that can be very strong in the morning. The camouflaged root system gives the impression that the flower is floating, hence the common name of the Ghost Orchid. Nicknamed the Pride of Table Mountain in its native South Africa, this gorgeous orchid is very difficult to care for. It has very large, triangular petals that come in a deep red with red and white stripes. The Disa Orchid thrives in very humid and wet environments, and it dies quickly if it dries out. Dracula means 'little dragon,' and the Dracula Orchid got this name from its deep blood red color and its long spurs that come off each petal. You may also see it in black or with streaks. The flower stem grows downward, and the large lip is excellent for attracting flies to pollinate it. The Encyclia Orchid looks a little like an octopus because its flowers have dangling petals and sepals. It's more commonly called the Cockleshell Orchid, and it has a very light fragrant scent. It does well with little water. It blooms for several consecutive months, and this makes it popular. 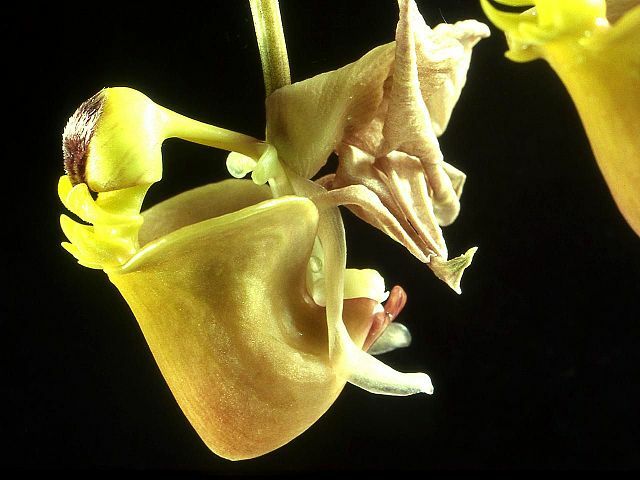 This species is one of the oldest orchids in existence, and this genus has over 1,000 species. The Epidendrum Orchid has very petite flowers that have very bright, bold colors ranging from deep red to soft pink and purple. It grows very well in very bright, consistent light. Growers often use grow lights for indoor growth. The Gongora Orchid does very well in a wide range of environments, lighting conditions, and temperatures, but it needs to have a lot of water. The flowers point downward, and the flowers tend to hang over the edges of the pot. They also have strong fragrances of allspice, cinnamon, and nutmeg. The Haraella retrocalla is slightly easier to care for than many other types of orchids. 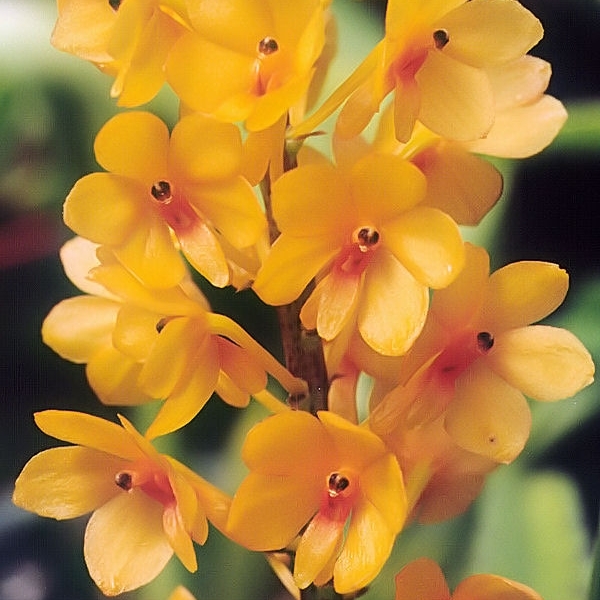 It has very pretty yellow and red flowers, and it's classified as a miniature orchid for its compact size. This orchid can bloom continuously if it's well cared for, and it has a light citrus fragrance. 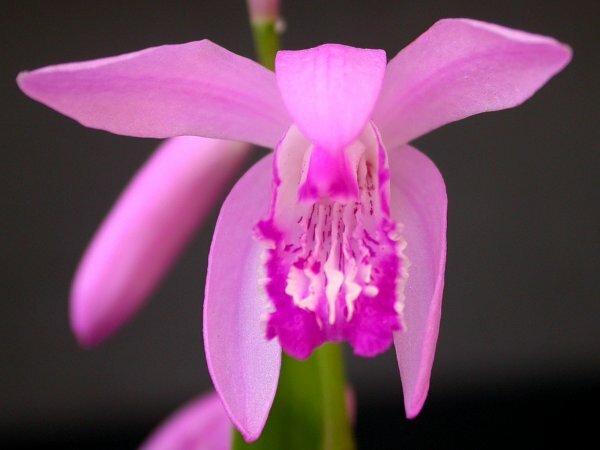 The Laelia Orchid thrives in humid, tropical climates like native Central and South America. The large, dark, leathery leaves that make the big, bright flowers stand out. The flowers themselves come in several shades of purple and pink, and they have a thin profile. It grows the best hanging in bright light with little water. Ludisia is commonly called the Jewel Orchid due to its beautiful foliage that is typically dark green with red or pink stripes. The tiny white flowers bloom in the fall, and this is one of the few orchids grown mainly for its foliage. The different varieties have different foliage colors. The Lycaste orchid grows very well in intermediate-to-cool climates with intermediate-to-cool temperatures. The flower's sepals point outwards and give the flowers a triangular shape, and they come in lavender, white, pink, or red. During the winter months, the orchid sheds its leaves to reveal spines that are sharp enough to draw blood. You may have heard of the Maxillaria Orchid by its common names of the Tiger Orchid, Spider Orchid, or Flame Orchids. This orchid grows very large, and it typically produces many smaller flowers. It can be in bright red or white and orange stripes, and it grows very well in several different climates and temperatures. The Miltonia Orchid closely resemble pansies, and this led to its common name of the Pansy Orchid. It blooms from late spring well into early summer.. The flowers have a waxy look and feel with a large lip, and they commonly come in white, purple, lilac, pink, pale yellow or green, spotted, or tan. Miltoniopsis may also be referred to as the Pansy Orchid among growers, and this can lead to confusion. The large flowers look like a Pansy, and they usually have attractive strips to offset the deep colors. It is native to Columbia, Peru, Ecuador, and Costa Rica and it grows very well in warm, high-humidity environments with bright light. The Mormodes Orchid has a slightly different flower feature that sets them apart. Its flowers are twisted asymmetrically, and this means that its lip actually touches the back of the column. The flowers range from deep wine colors to orange, pink, and light green. It likes high humidity, bright light, and it needs minimal water after it has dropped its leaves. You'll typically find the Neofinetia Orchid in Japan, Korea, and China. The flowers are typically very bright white with long, thin petals. It needs a lot of light to grow, and it does best when it has water that drains away very quickly. It can handle heavy water and high humidity levels as well. You can find the Odontoglossum Orchid in the Andes Mountains where it grows very well with high humidity and cool temperatures. You'll get beautiful flowers with this orchid with ruffled edges. Traditional colors are white, brown, purple, red, or yellow and they may have multi-colored blotches throughout. 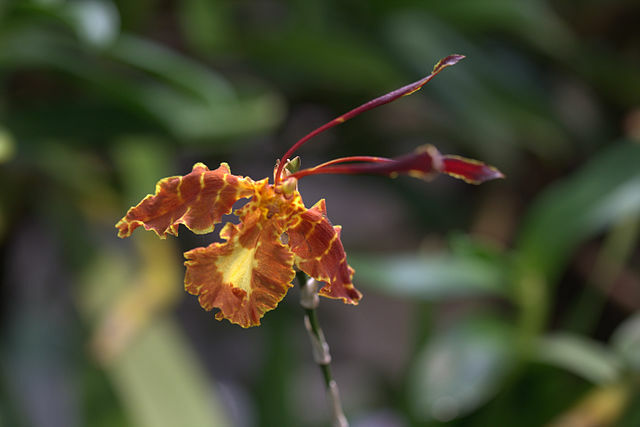 The Oncidium has long sprays that branch out with hundreds of flowers, and they resemble a dancing lady. It is a very low maintenance variety of orchid, and you'll get a sweet fragrance that smells like cocoa. It needs consistent humidity and moisture to avoid leaf deformities. If you're tending to a Phaius Orchid, you'll quickly realize that it belongs in bright light. It has large, strappy leave with dozens of flower spikes that come in purple, yellow, or white. This orchid can grow up to four feet high, and it's easy to grow. It's commonly called the Nun's Cap Orchid. If you want a very easy-to-grow and forgiving orchid, try the Phaleonopsis Orchid or Moth Orchid. This orchid's flowers are very large and showy, and you'll get several flowers per stem. It comes in a variety of colors, and it's very tolerant of beginner mistakes and clumsy re-potting efforts. For anyone who tends to overwater their plants, the Phragmipedium Orchid may be the plant for you. It likes very wet conditions and even standing water. This orchid has a little pouch that is flanked by Fu Manchu mustache petals. The petals come in several bright colors including scarlet, orange, green, and yellow. The Pleione Orchid is a miniature breed of orchid that is more commonly known as the Peacock Orchid. This orchid is very hardy, and it tolerates temperatures down to freezing, and you can simulate winter for it by placing it in your refrigerator. It has very slim, bright flowers in purple, white, yellow, and bright pink. 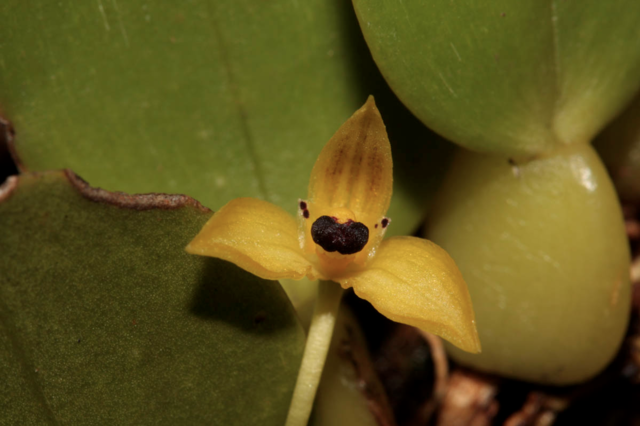 The Pleurothallis Orchids contain hundreds of species in the genus, and they range from very small to very large flowers. They thrive in high humidity, damp environments, and cooler temperatures. They won't tolerate being dry well, and they're not very forgiving with mistakes. A beautiful but little-heard-of orchid is the Psychopsis Orchid or the Butterfly Orchid. It's very forgiving and good for beginner growers, and it'll bloom for months at a time in moderate light. Psychosis flowers are gorgeous with bright, eye-catching colors like yellow and burgundy with speckled foliage. If you live in an area with year-round high humidity levels, the Restrepias Orchid can bloom year-round. It has small drooping flowers that come in bright yellow or red colors. The flowers develop one at a time, and the leaves are large, dark green, and they have a leathery feel. The Sobralia Orchid is native to Central and South America, and it has beautiful flowers that are short-lived. The flowers vary from very small to very large, and they can be more than six inches across. The entire plant is quite large, so you will need space for it to grow. If you want an orchid that does very well in an environment that doesn't get below freezing, the Spathoglottis Orchid is an excellent choice. It has very showy flowers that usually come in shades of purple that are very popular for people who have tropical gardens. The Stanhopea Orchid is unique in the fact that its flowers grow out of the bottom of the pot and hang down. Traditionally grown in a basket, the flowers are very complex and beautiful. This Orchid's name came in honor of the 4th Earl of Stanhope, Philip Henry Stanhope. The Vanda Orchid is a very exotic and beautiful orchid with very large, round flowers. It grows well in very bright light and warm temperatures. It's very picky about its growing environment, and in addition to the light and temperatures, you'll need high humidity as well. 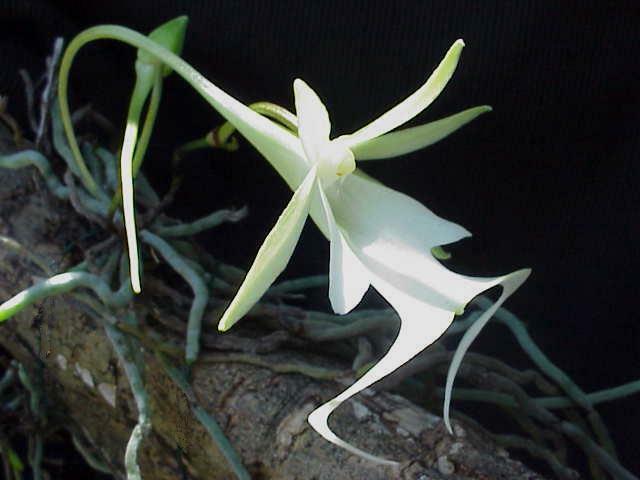 The Vanilla Orchid is an entire genus of orchids, and it includes the vanilla bean plant. These orchids are very fragrant, and they're different from other orchids as they grow in a vine. The deep green foliage has flat leaves, and the fragrant flowers are bright white with five petals. This orchid typically blooms on a constant basis beginning in the fall and going through the spring. The flowers are large and fragrant, and they come in maroon, purple, and chartreuse with beautiful spotting and veining. The Zygopetalum Orchid is one of the types of orchids that are very easy to grow, and thrives in humid conditions. oakhillgardens.com is a participant in the Amazon Services LLC associates program, an affiliate advertising program designed to provide a means for sites to earn advertising fees by advertising and linking to Amazon.com.